Covering the windows in your home is about more than just practicality, it’s also about making the home look good. So choosing the best window blinds or coverings involves a process that mixes aesthetics with need. An experience interior designer and decorator will know exactly how to make the most of the space you have and your light sources and can help you choose window coverings and blinds that suit your space and your needs the best. That said, let’s take a look at some basics to choosing good window coverings for your own living space. Consider style of the space – The style of the current room or space you are working in will be important to your choice of window coverings. You want to choose blinds, drapes or other coverings that flow well with the rest of the room. If you do not already have a specific style in the room or you are redesigning the room, you want to work the window coverings into this style plan. Choose your type of window covering – Once you’ve decided on that, the next step is to choose the type of covering(s) you will use. There are many sub-types under type so the choice may not be as simple as it seems on the surface. For example, if you choose blinds, there are metal blinds, wood blinds, bamboo blinds, cane blinds, vinyl blinds and more. Consider using more than one type – Another great design tip that is also very practical is to use more than one type of window covering over the same windows. You might have light-filtering blinds as well as sheer drapes, for example. You can get very creative in your designs this way and do many things to highlight a room, create a focal point of the windows and more. Consider insulation and light-blocking needs – Will you need to filter the light in the room you are planning? Will you want noise or weather insulation? These are some areas where the window coverings can again, be practical, so you will want to choose accordingly. The coverings you choose for your windows can make a small room look larger, a dark room look bright and airier, and it can even change the entire ambiance of a space. They are a fairly simple and affordable way to change the look of a space as well. There are so many different options you have to complement your space that the possibilities are endless. Each home is as unique as the people who reside in it and this is why choosing decor elements like your window coverings are so important. It can really make a difference in how you feel about the spaces within your home and how you use them. However, not everyone is naturally skilled at picking the right window coverings and design options. You should not feel bad if this is not your forte. There are qualified professionals who can help you with this task and many more like it. 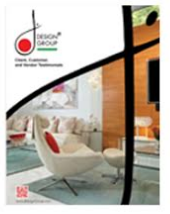 If you have questions about window coverings or home design and decor, feel free to contact J Design Group today. Our experienced staff is waiting to talk with you.